MBJB limited edition bus card was established upon the partnership between Causeway Link and MBJB in order to promote the cashless system right in the heart of Johor Bahru. 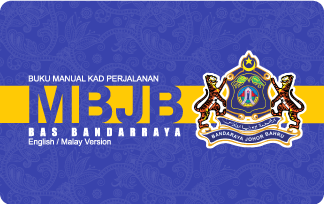 MBJB limited edition bus card is available at all ManjaLink Counters. It has the same features of ManjaLink card which is usable in any selected Causeway Link buses that goes to and from Johor Bahru and Singapore.